JCM consults on historic Dunkin' Donuts transaction in Chicago, IL. Joyal Capital Management Franchise Development records the single largest sale of a Dunkin’ Donuts franchisee-owned network in the firm’s 30-year history. JCM Franchise Development, LLC (JCMFD) is pleased to announce the successful closing of the single largest sale of a Dunkin’ Donuts and Baskin Robbins franchised network ever recorded at Joyal Capital Management. JCMFD was able to deploy its entire suite of sell-side consulting services to their client, who is a long-time Dunkin’ franchisee in greater Chicago, on the sale of the 67-store network and corresponding SDA. Over the course of five separate closings which involved seven purchasing groups, JCMFD was able to lead the facilitation, coordination and closing of a very complex transaction while ultimately providing a seamless transition among all parties. In preparing the due diligence and offering materials needed to go to the market, JCMFD proved to be a significant resource to the buyers through the consolidation of a tremendous amount of raw data that speaks to the scale of this transaction. 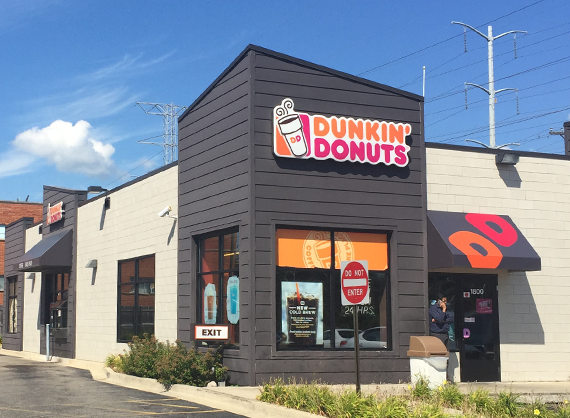 JCMFD also leveraged its extensive knowledge of the Dunkin’ franchisee landscape to ensure that the potential buyers had the experience and resources to thrive within the Dunkin’ brand throughout the Chicago region.